When you come to see me for a short game lesson at Ridge Creek, you?re bringing two things with you ? your short game and your equipment. So I always do two things right at the beginning of our time together. I?d watch you to see what kind of short game technique you were using. After that, I?d look into your bag and see what kind of wedges you carry. It?s not so much a matter of what brand of clubs you have, although I sure enjoy my Vokey spin-milled models. In reality, as long as the grooves are in good condition and have specs that match the shots you want to play, they?ll work just fine. What I?m looking for are the playing characteristics of your short game clubs. How many wedges do you have? What lofts and lie angles are they? Do they have a lot of bounce? Not so much bounce? How do they suit what you?re trying to do with your finesse wedge (chipping), distance wedge (pitching) and sand game? Will they fit the kind of short game I teach? There?s no reason to make this harder than it has to be by using tools that don?t fit the job. I strongly believe you shouldn?t ignore your wedges, or be satisfied with the ones that came with the set of irons you bought. Picking wedges that fit you, have the right playing characteristics, and cover a variety of different situations around the greens makes you a much, much more complete player. It makes it easier for you to create shots, and it?s a cheap way to shave four or five shots off your handicap instantly. Loft: Like any other club in the bag (including the putter), wedges come in a variety of lofts. A standard pitching wedge has 48 degrees of loft, a gap wedge has 50 to 56 degrees, and a lob wedge has 58 to 60. The higher the loft a club has, the higher (and shorter) you will hit that club. You can get a wedge with any degree of loft between 48 and 64 degrees. Bounce: If you look at the bottom of your sand wedge, you?ll see some extra metal tilting down away from the leading edge of the front of the clubface. The bottom of the club is shaped differently to help it glide through the turf or sand without digging in too deeply. Think of skipping a rock that the trailing edge of a sand wedge is the bounce, striking the turf or sand first so that the trailing edge of the rock hits first. The trailing edge of a sand wedge is bounce, striking the turf or sand first so that the club skips instead of digging in. A standard sand wedge might have 10 to 12 degrees of bounce, while a lofted wedge like a 60 degree might have four to six degrees of bounce. Lie angle: Lie angle is the angle at which the shaft comes out of the club head. If you set up with your wedge in a natural position and the heel of the club is off the ground, the club has a lie angle that?s too flat. 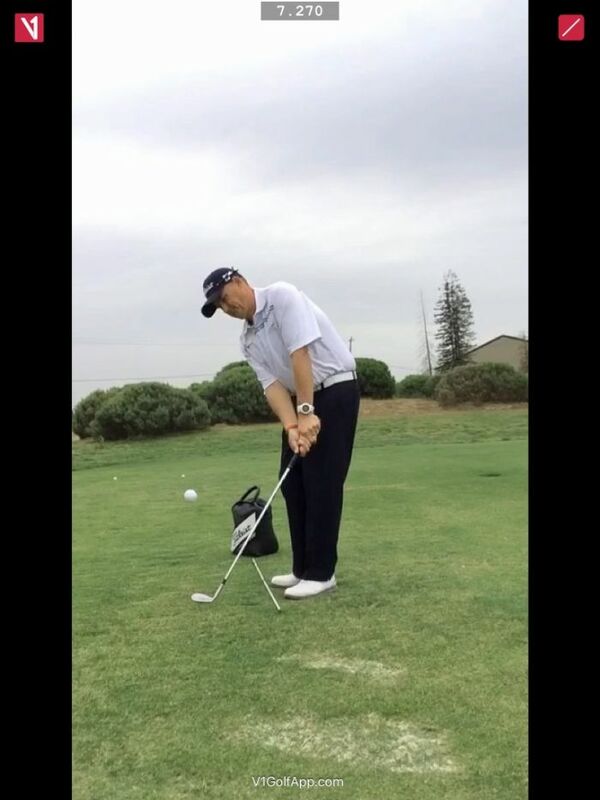 If the toe is off the ground, the lie angle is too upright. When you play shots with the entire bottom of your wedge against the turf or sand, you will be taking full advantage of your equipment. You need to know how these factors fit together so that you can get the most out of the collection of wedges in your bag. Let?s start with loft. The three wedge configuration includes a pitching wedge (48 degrees), sand wedge (56), and lob wedge (60 degrees). The four-wedge configuration breaks up the gap between the pitching wedge and sand wedge with, appropriately enough, a gap wedge (52 degrees). When it comes to bounce, I?m strongly in favor of using as much of it as you can get away with under the conditions of your course. More bounce is really going to help you if you play anywhere the turf is soft and sandy. About the only place I can think of that would make me consider less bounce is really dried out British Open venues. You?ve probably heard something about lie angle as it pertains to your regular irons. Depending on how tall you are, and how long your arms are, your clubs are built with standard, up-right, or flat lie angles. If you have more distance between the tips of your fingers and the ground (either as a taller person or a person with shorter arms), you generally need a club that is built more upright. If you are shorter or have longer arms, you generally need a club that is more flat than standard. You can also have the lie angles of your clubs tailored to compensate for how you hit the ball. A club with an upright lie angle will tend to straighten a slice, while a club with an upright lie angle will help a person who tends to hit hooks. All of that is just as true for wedges. And since these are your scoring clubs?clubs you?re going to come to expect to hit close to the hole regularly ? swinging ones with lie angles that aren?t right is going to make things more difficult than they have to be. Statistics clearly show that birdies and par saves are made from shots hit within 120 yards of the flag.